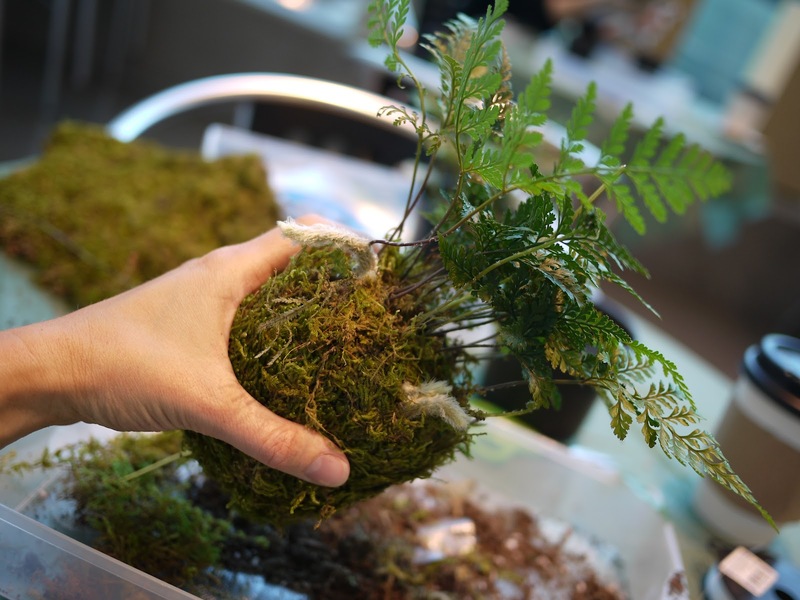 Last week I attended another workshop at Utsuwa Floral Design in San Francisco's Japantown. 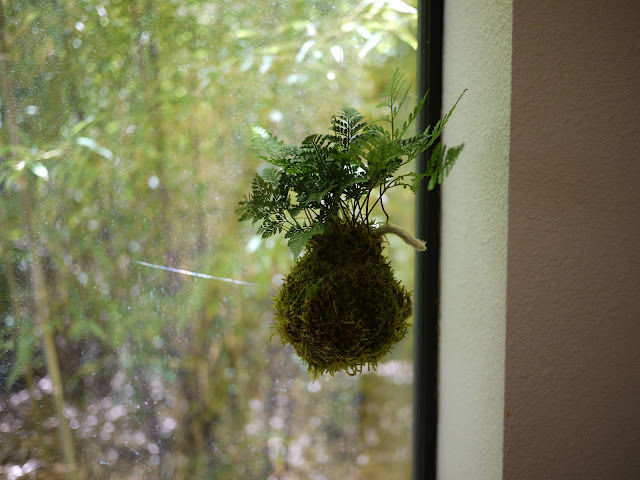 This time the project was a Hanging Rabbit Foot Fern; a small fern, the roots and soil of which are wrapped in a moss ball. This project was relatively quick and simple. 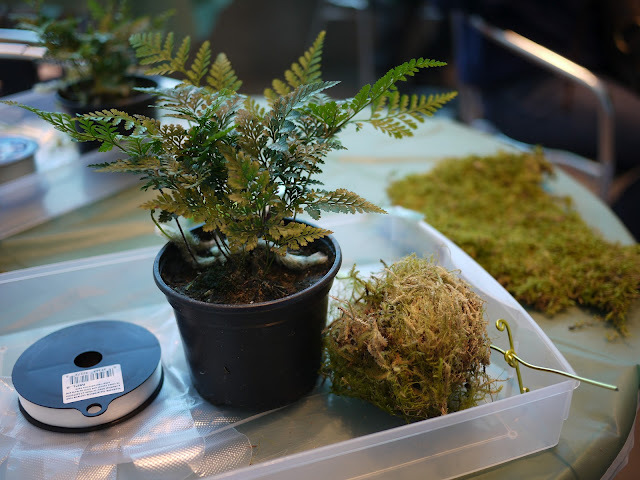 After removing the fern from its pot a wire post is poked through the middle. This forms the hanger for the completed project. Moss is then placed on the bottom to hold in moisture. 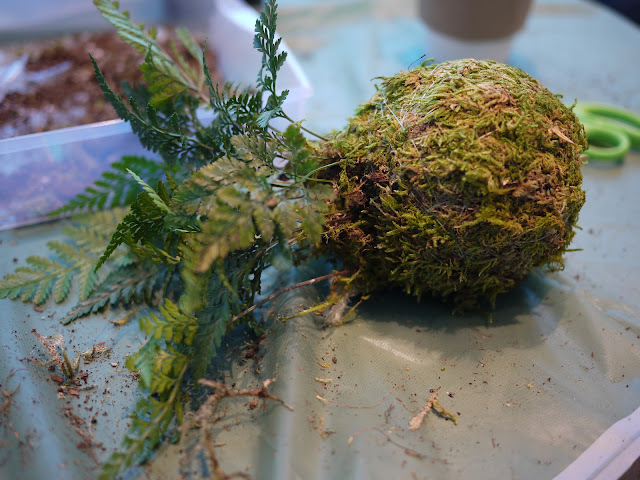 Sheet moss is then wrapped around the roots and soil, covering it all and shaped to form a ball. Once the moss is in place fishing line is wrapped around it about thirty times to hold it all in place. The fishing line must be wrapped vertically rather than horizontally to hold effectively and to avoid squeezing the roots too much. The last step is to shape the wire into a hook at the top ready for hanging. The wire protruding at the bottom can also be shaped into a hook to hang a small ornament such as a bell. Once I got my fern home I soaked the moss covered roots in water to give it a big drink and then hung it up in shady window. Outside our dining room window is garden of bamboo and ferns which provides just the right amount of filtered light for my little fern. 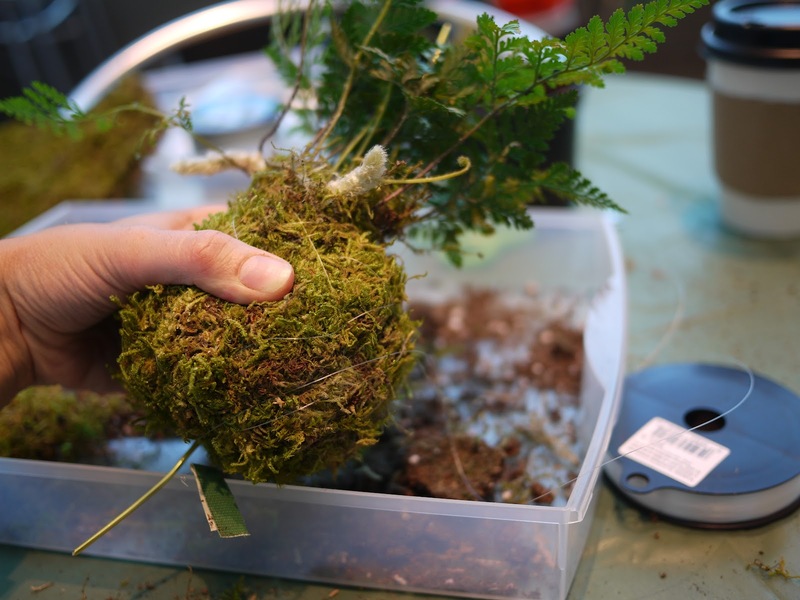 Eventually the white roots that you can see poking out the top of the moss will grow more leaves and will start to wrap around the moss ball. 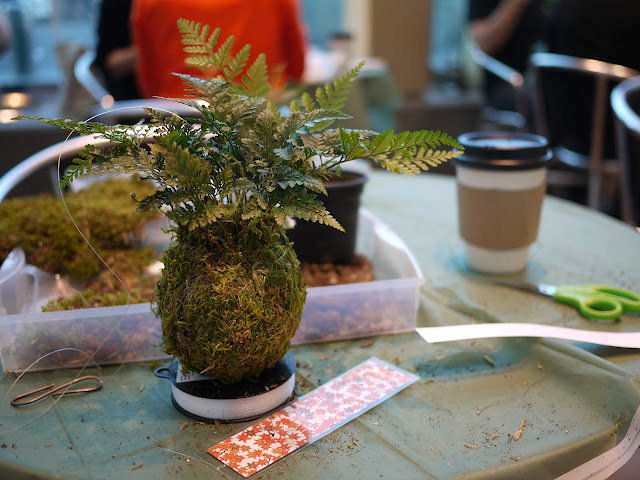 Next up at Utsuwa Floral Design is a Hanging Succulent Terrarium workshop in August. Can't wait for that one!